I am a wife and mom who has tried it all. Life is just so amazing, it has been hard to put my finger on just one way to enjoy it. 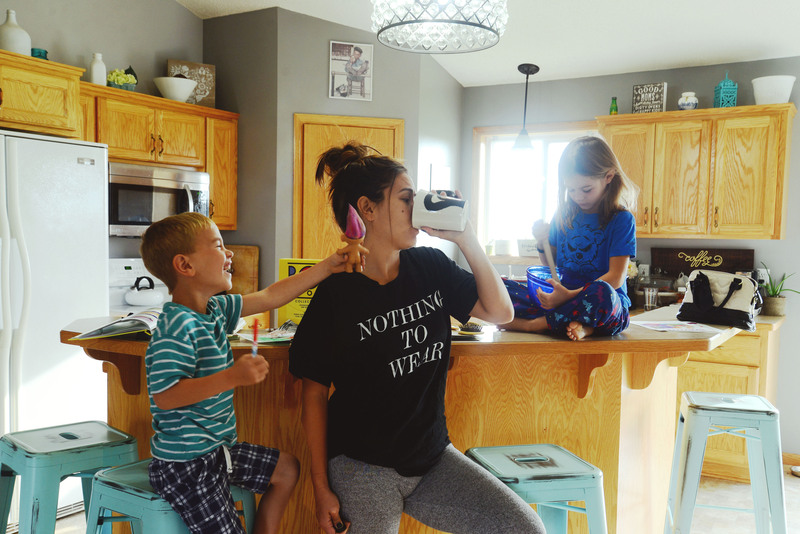 One of my biggest struggles that I am very open about is the fear I have always had of losing myself and the pursuit of my own dreams while being a mom. I am so thankful for this blog and all the opportunities it has presented me. Not only have I been able to find a life separate from motherhood, but I have also been able to create an income that has helped our family financially in more ways than one. Blogging has been such a passion for me, that I actually created a course to teach other aspiring bloggers just how they can get started. In my course, I did my best to answer every question that wasn’t answered for me when I first began blogging. If starting a blog has been in the back of your mind, check out the course and take advantage of the 5 TOTALLY FREE lectures! When I was only 20 I met my husband Tom and his then 5 year old daughter, Destiny. At that time she hadn’t seen her birth mom in over a year. She and her maternal sister were being raised in separate households, but Tom did his best to be a father to both. I couldn’t imaging two better girls to have be a part of my life. For the last 12 years I have been a mother to Destiny and (since she’s only 8 years younger than me) have enjoyed being inspired every day by her sister Marijane. In 2010 and 2011 these girls became new sisters to our kiddos, Kaida and Madden. It’s a complicated family tree, with a lot of intertwined branches, but it’s ours and we love it. In 2015Tom and I decided to downsize our beautiful large 3 level home into a cozy rambler that was over 2,000 finished square feet smaller. While I would happily move into a “tiny home” tomorrow, having 3 kiddos in the house makes that dream a little bit…crammed. There were dozens of reasons for our downsize, the biggest reason being that our marriage needed it. Downsizing also meant giving up my in-home photography studio. Because it is a career that required a lot of additional accumulation, I made the decision to get a fresh start in a career that was more suited to my new way of life. In the beginning, the blog took a lot of different turns but ultimately I decided to tell our story. I wanted to focus the blog on living a simpler life. In the process of our downsize, we also decided to get serious about our finances. In order to live the life we knew we wanted, it meant digging ourselves out of debt first. The Fun Sized Life is now dedicated to helping families or other people like us avoid the same life-cluttered financial pitfalls we fell into. Just like I believe in blogging, I believe in sticking to a solid budget. I created a simple to start budget for beginners called The Fun Sized Budget Bundle. Downsizing our house and getting out of debt set our family on the path for a more simple life. Now I work to share all of our best tips and tricks for creating the same life for you!